Can I eat that Almond? 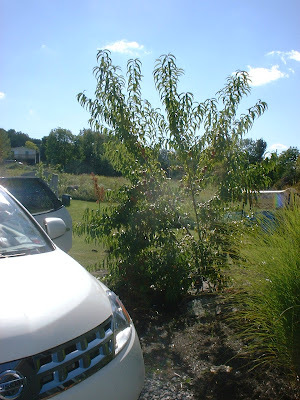 About 3 years ago I purchased a bunch of trees from the Arbor Day Foundation. Most of these trees were fruit trees. One tree in particular was an almond tree. 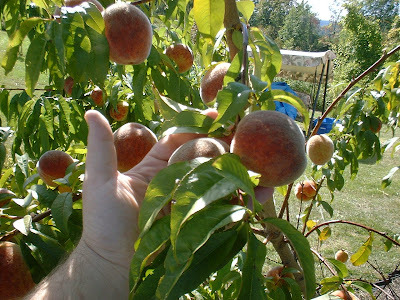 When I planted this tree it was a tiny pathetic twig in the ground, but it has now grown to well over 12 feet tall and is absolutely covered with peach-like fruit. I am a total peach freak -- they are my favorite fruit -- so seeing this tree every day before and after work is quite tempting. There is one big problem -- certain almond trees produce a cyanide containing chemical that when digested is converted to cyanide which can kill you! I have spent quite a bit of time trying to find out if my tree was poisonous or not. 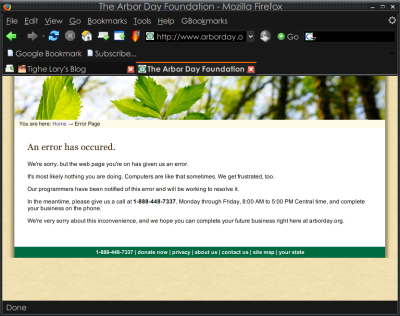 I tried to contact the Arbor Day Foundation -- they have no question e-mail -- just a general question form that is broken! Argh! At least I was able to contact them via phone to found out that my tree is a Hall's Hardy Almond. 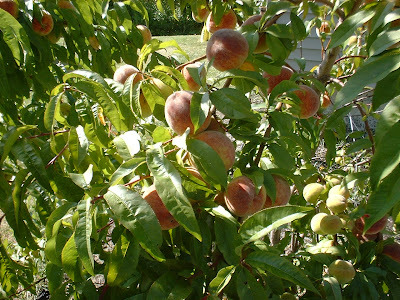 From what I can tell a Hall's Hardy Almond is a hybrid between a peach and an almond tree that is grafted on to peach root stock. It is safe to eat! So I look forward to eating my almonds! Now I need to figure out how to harvest them! I know you are supposed to let them stay on the tree until they split open, and then roast them. That is all I know so far. I cannot wait for my wife to make some of her awesome almond butter using our home grown almonds! Awesome Wall Stickers for your Kids Bedroom! Quiznos Subs bad -- Mr. Subb infinitely better! Cumberland Farms: Don't make me a liar!